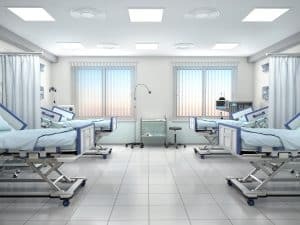 Thanks to a new law that went into effect on January 1, 2019, hospitals are now required to publish the prices of their procedures. The hospital’s price list must be made public, published online and updated each year, according to a story in Newsweek. The new law also applies to rehabilitation facilities, psychiatric hospitals and critical access hospitals. This new law intends to increase pricing transparency, helping patients to become more knowledgeable, make sound decisions regarding their health care, and find the best value for planned medical procedures. Of course, there is always a catch. The published prices can be confusing for consumers, and they may not help them compare between hospitals in their area. Patients must gather price information for their planned procedures from the various hospitals or other health care facilities in their area, and then contact their insurance companies to find out how much of that cost will be covered, and how much of their own money they will be expected to pay towards the cost. Patients on Medicare must first check their Medicare plans to see what their actual costs will be. Additionally, if the healthcare facility is a nonprofit, income will have an impact on the price patients pay. If a patient lacks insurance, then the overall price will be higher. The Greenville News further explains that patients pay different rates based on what their insurance companies have negotiated with the providers, and the types of plan they have. If Joe and Jim both schedule an MRI at a local hospital on the same day, they could end up paying different amounts if they have different insurance carriers, or even different plans with the same insurance company. Another obstacle for patients seeking to compare pricing is that the information on pricing is presented in a “machine readable format” as requested by the Centers for Medicare and Medicaid Services (CMS). The prices are listed in a database by diagnostic code, which uses medical terminology that the average consumer knows nothing about. The Greenville News article used the example of a gall bladder removal, which is listed as a cholecystectomy. Finally, this transparency may prove to be useless in an emergency situation. A patient who schedules his or her MRI is not in the same position as a person who has just had a stroke. If you are admitted to an ER, or to a hospital that is out of your network, or seen by a doctor who does not take your insurance (even if the hospital does), the price you pay for care could be much higher than you anticipated. The new law is a good start. People should be able to comparison shop when it comes to care – and nobody should be faced with an outlandish bill without an accompanying explanation. However, when the price that is listed is not necessarily the price you pay for care, then that is a serious problem. Every electronics store in the country, it seems, has a price-match guarantee: find that same laptop or TV elsewhere for less, and the store will discount your price. If a hospital won’t “price-match” the cost of a procedure, the least it could do is be fully honest and transparent about what the cost of a procedure will actually be. At McGowan, Hood & Felder, LLC, our South Carolina medical malpractice attorneys have spent many years fighting on behalf of clients injured because of medical negligence. You can learn more about our services, or schedule a free consultation, by calling 888.302.7546 or filling out our contact form.